Grand opening ceremony of the 43rd World Chess Olympiad took place at the Black Sea Arena. The Chairman of Ajara AR Government Tornike Rizhvadze addressed the audience. 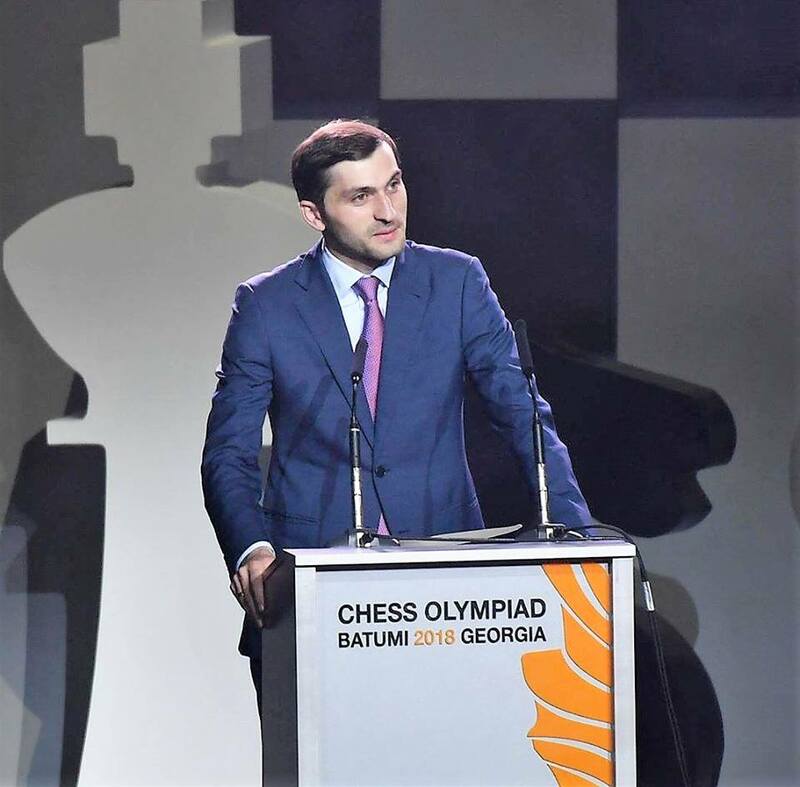 ‘I welcome the representatives of the International Federation of Chess, participants of the Olympiad and guests. It is great honor for us to host the 43rd Chess Olympiad, which will take place in one of the most attractive cities in the Black Sea region. Our town was looking forward to opening this competition impatiently. Batumi has not been selected accidently. Ajara has truly brilliant experience of hosting international competitions, as it has hosted world chess tournaments for several times. It also should be noted that very important steps were made to improve sports infrastructure after Batumi was selected as the host city. High-end multifunctional sport complex and ice arena were constructed and equipped, where interesting chess matches will take place in these days. I would like to tell you another very good news about our city and sports - The European Capitals and Cities of Sport Federation ACES Europe named Batumi among European cities of sport 2019, which is a very important achievement for Georgia. The status of European town of sport will promote healthy lifestyle and our town as a sports and healthy city in the international arena. Over 4 000 delegates from more than 180 countries visited Batumi within the Olympiad. The 43rd World Chess Championship will last during two weeks, till October 6.